Day Star Electric is an award-winning provider of residential electrical services. Our family owned and operated business has been providing exceptional electrical assistance to the Tucson area for the past 20 years. We take pride in offering a wide range of options to our customers. 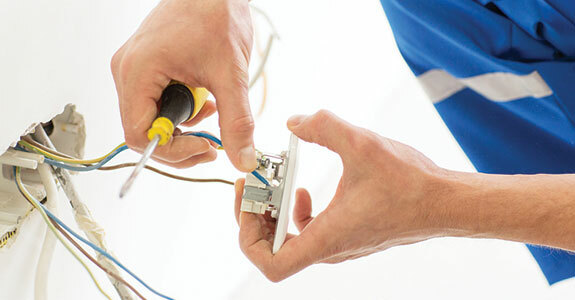 Finding an experienced electrician in Tucson, AZ doesn’t have to be difficult. By working with Day Star Electric you can rest assured that your residential electrical needs are taken care of by skilled professionals. Since 1995, we have provided fast, friendly and accurate installations and repairs for our customer’s homes. We have been members of the Better Business Bureau for 12 years, enjoying a rating of A+ with no complaints. We have also received the Angie’s List Super Service Award for 2012, 2013 and 2014. We are an award winning company with 20 years of industry experience. We offer the highest quality of service at competitive prices. Our business offers a wide range of electrical services. We make customer satisfaction our top priority and are proud to provide clean, friendly professional service you can rely on. You will like us when we meet and you’ll still like us when the work is done! To learn more about how your home can benefit from our electrical services, contact Day Star Service Co.